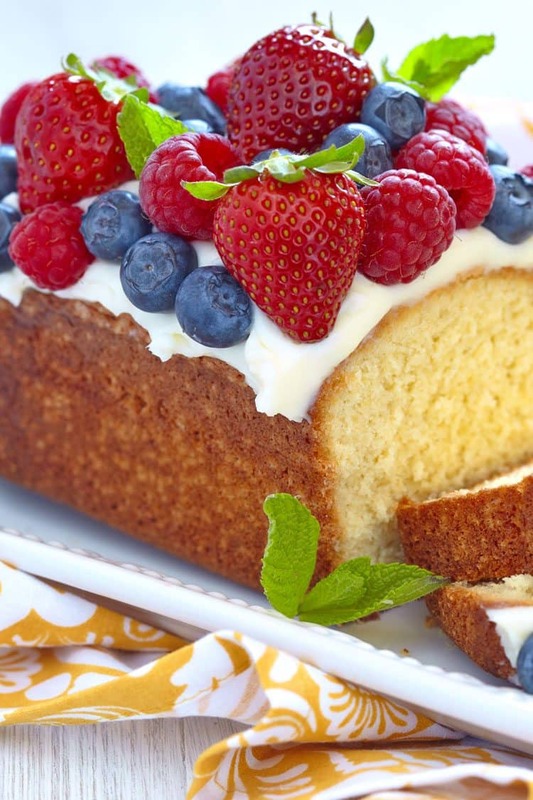 Enjoy pound cake with berries guilt free. We can’t get enough of simple desserts that allow us to indulge while enjoying the fresh taste of fruit and berries. Give us a Banana Cream Dessert, Apple Caramel Cheesecake Parfait, or Paradise Fruit Pudding any day. They are filled to the brim with fruits of the earth and sweetened up with dessert goodness. 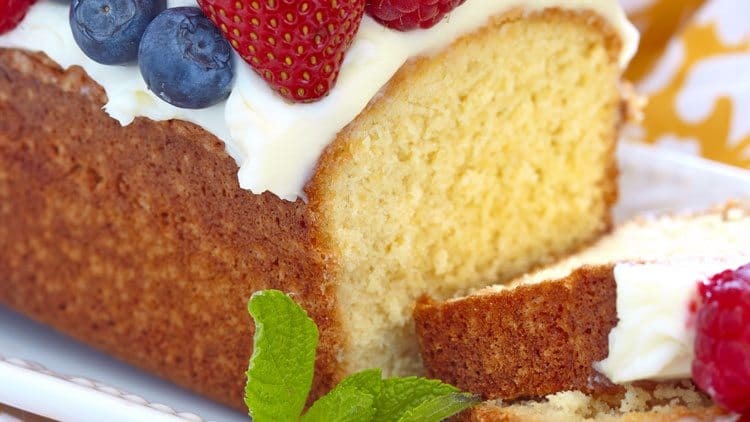 Pound cake recipes are super easy to make. It’s always easiest to use a store-bought pound cake, and there is no harm in that at all. Using a pre-made pound cake for this recipe makes it so easy. All that is left for you to do is rinse off berries and make the white chocolate sauce…and then dress up the dessert. Well, and you still get to eat it. Save us a bite! Pound cake recipes are so much fun. You can use pound cake to make so many unique desserts, but it’s just one way to for dessert making to be easy. Whether you make this tasty dessert tonight or settle on one of our other favorite desserts, don’t forget to check out all of our dessert recipes. We’ve got several that you will love. Place the white chocolate chips into a small saucepan. Pour the whipping cream over the chips. Place the pan on low heat and stirring constantly melt the chips until they are smooth. Remove the pan from heat and blend in the orange juice. Cool the mixture about 30 or until room temperature. 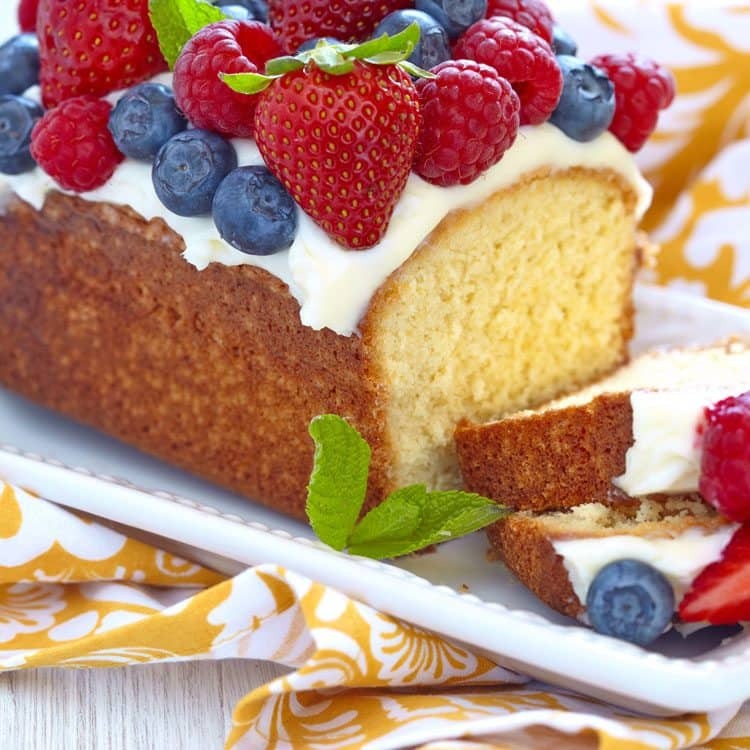 Top pound cake with white chocolate mixture and then add strawberries and blueberries. Slice and serve. Serving Size: 4, What better way to tell your loved ones how much you cherish them. Serve this dessert and they will have no doubts. Not fond of strawberries and blueberries, then use raspberries, orange slices or your favorite fruit instead.